Everyone has seen videos of people in Manhattan walking past homeless people. Some people treat people who are homeless as invisible (at best) or worthless or a blight (at worst). 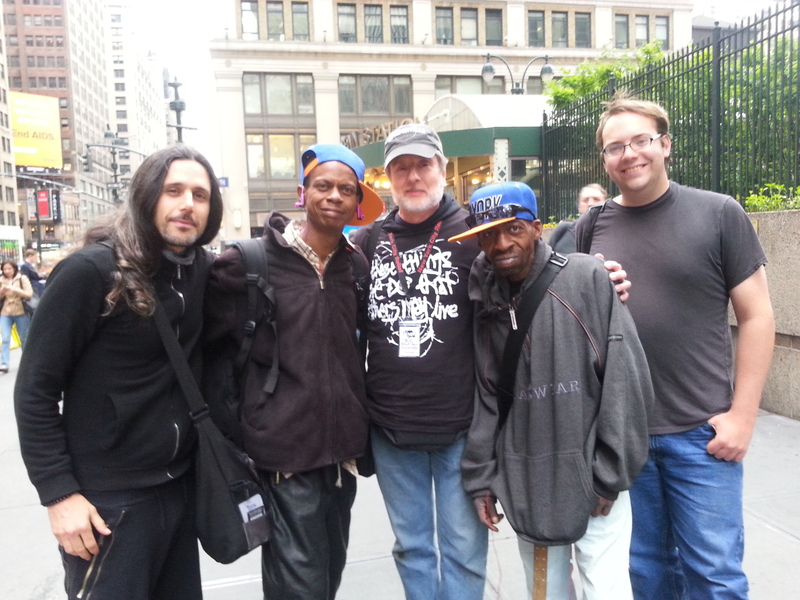 Last night I was spending time with New York City Relief, making friends with people currently living on the street. I had an important list of names of individuals we had talked to and their prayer requests. (The International House of Prayer church prays faithfully for these people each week ba sed on these lists.) Anyway, I absent-mindedly wrote down what one couple wanted from a fast food restaurant on the back of that list, and sent a couple team members to bring back the food. The volunteers came back with the food, but (of course) not with the list, which was now in the garbage! My mistake! And I was responsible for that list! I asked them to go back for it and try to “rescue” it, while I continued speaking with another homeless man who stopped by and wanted to talk. He’d been living on the street for “many years.” He saw the little drama unfolding about our potentially lost list, and said to me, “Just because something is in the garbage, that doesn’t make it garbage.” It was slightly out of the blue, but I’ve been thinking about it ever since. And the great thing is, it wasn’t me telling him that, perhaps to encourage him, but it was him telling me. It was a beautiful moment where we thought together about a simple but profound truth – and for me, it came from a surprising source. (I’m supposed to be the one dropping profound nuggets out there, right?) The thing is, it shouldn’t be surprising. Whether the woman suffering because she doesn’t have her meds, or the young guy who’s relationship with his father has devastated him, or the woman on the street because her husband’s violence almost killed her – these people are just like us – they have truth and wisdom like like we do (sometimes more than we do) – and only a few minutes spent talking to one or two of them makes that obvious. When we’re down should we be “kicked to the curb?” When we desperately need help should we be considered a blight? Is our very presence a problem, so that others should rightly treat us as “invisible?” No, because no matter what happens to us, no matter where we are, we know who we are. We know who made us. We know who depends on us. We know who still believes in us. We know what we have to contribute. This entry was posted in love, service to others, the dignity of man, the love of God and tagged homelessness, loving well, New York City Relief, Relief Bus.